PYONGYANG, Aug. 10, 2016 - Photo provided by Korean Central News Agency (KCNA) on Aug. 10, 2016 shows top leader of the Democratic People's Republic of Korea (DPRK) Kim Jong Un recently giving field guidance to the January 18 General Machine Plant. 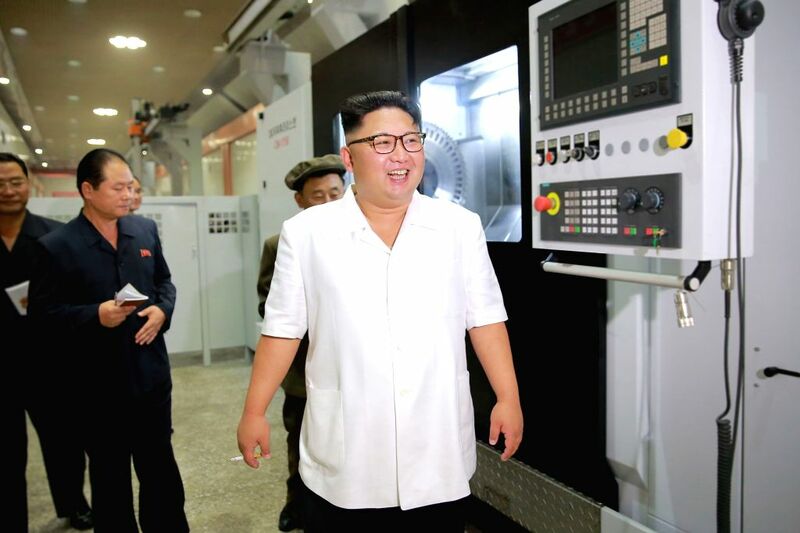 Kim Jong Un went round manufacturing, assembling and other processes of the plant to learn in detail about the production there and quality of machines. He stressed that the plant was modernized as required by the trend of the industrial development in the 21st century. The plant has been put on a scientific, IT and automated basis on a high level to cut down the production cycle and boost output while saving manpower as much as possible and register successes in raising quality.